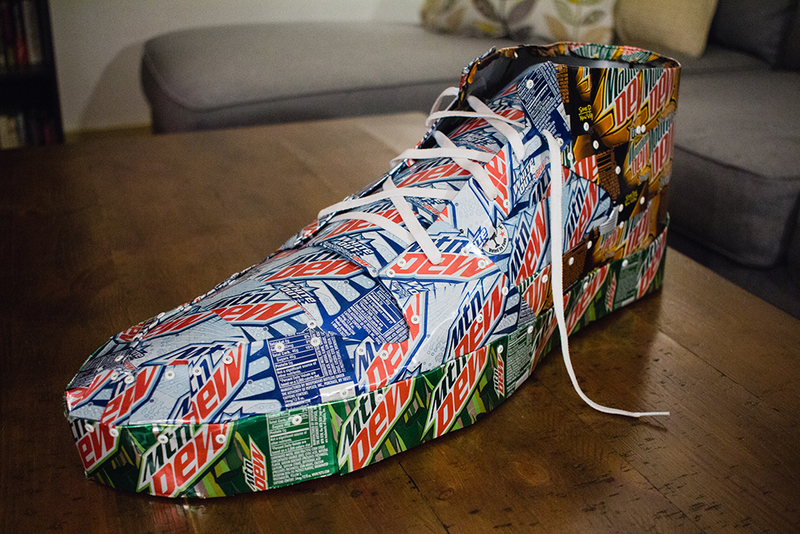 An exact 2:1 scale replica of a pair of shoes I owned (unfortunately not pictured). 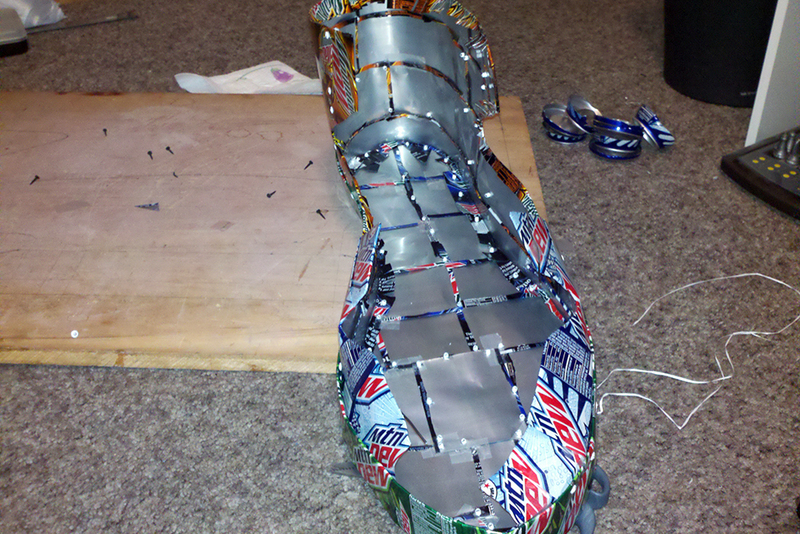 I chose to do each section of the shoe with a different colored can, since the shoes referenced did something similar. 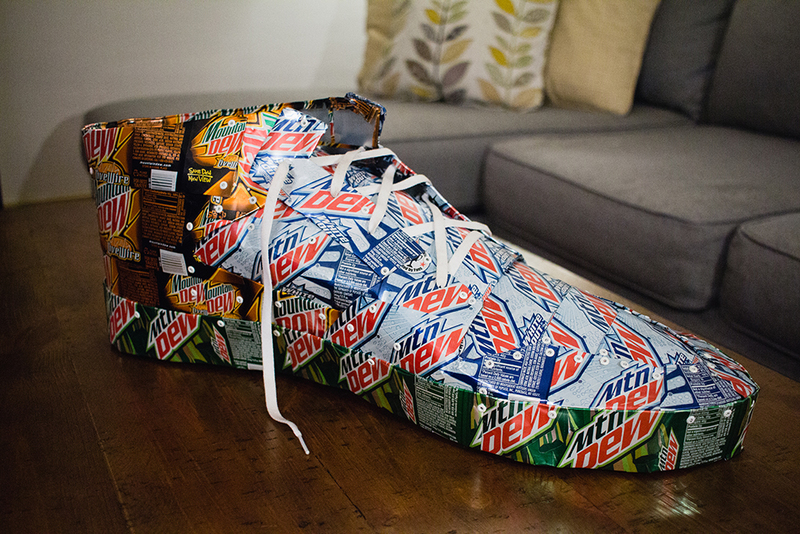 I used a piece of wood, nails, and a ruler to map out each section of the shoe. 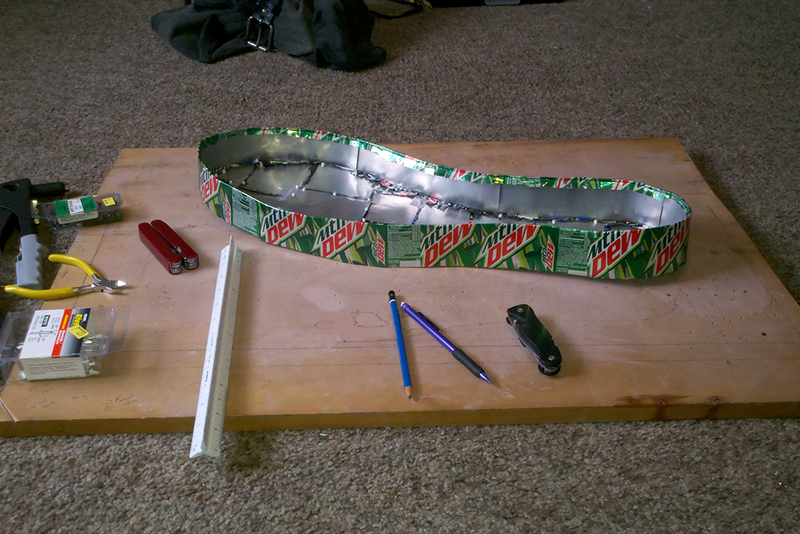 I then used wire coat hangers to form the outline of each section. 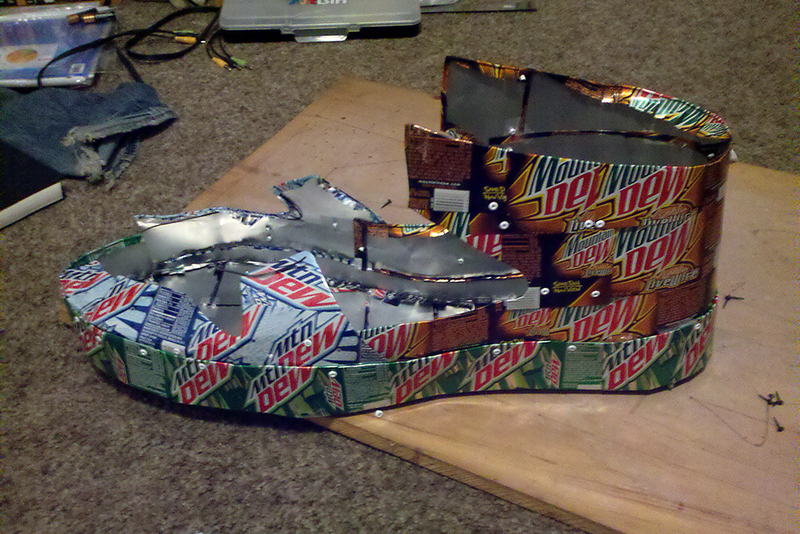 After cutting the tops and bottom off of the cans, I cut them open and frayed the edges (to wrap around the wire) for the outside pieces, then pop-riveted the inner pieces to the outside. 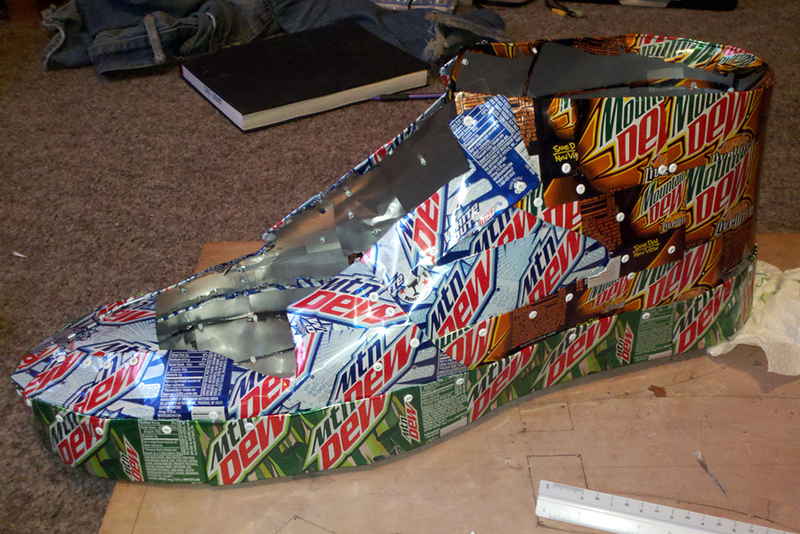 Overall I used ~75 cans and ~175 pop-rivets.